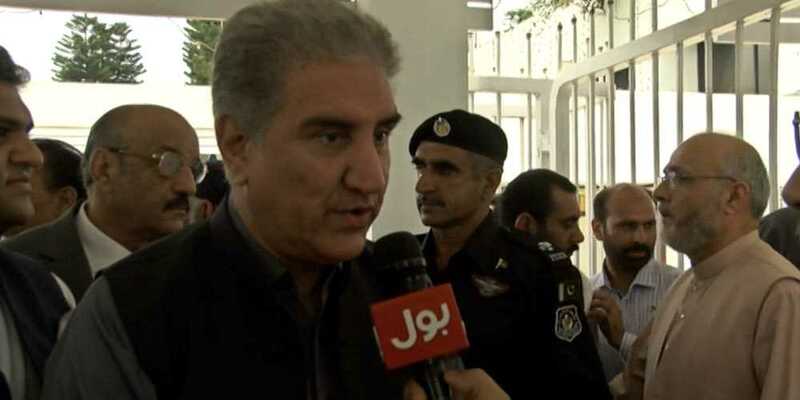 Pakistan Tehreek-i-Insaf (PTI) Vice Chairman Shah Mehmood Qureshi Monday said the PTI after taking over the government would make sincere efforts to overcome economic challenges, corruption and water crisis. Talking to media persons here, he said with taking of oath by the new National Assembly members, the first phase of the formation of federal government had been completed today. The opposition, he said, was an integral part of the parliament and the democratic system, and the PTI would take all the opposition parties on board on matters of national importance. Positive suggestions given by the opposition would be accounted for by the PTI government, he added. Shah Mehmood said the PTI was committed to uphold dignity of the parliament as all the national issues would be discussed at that forum. To a question about the formation of government in Punjab, he said consultations were underway and a meeting of the PTI and its allied parties in the province was scheduled to be held in Lahore on Wednesday where all matters would be discussed. To another question, he said Custodian of the Two Holy Mosques King Salman bin Abdulaziz Al Saud had phoned PTI chief Imran Khan and congratulated him on the victory of his party in the general election. The PTI chief, he said, invited King Salman to visit Pakistan, which was accepted by him. The King also extended an invitation to Imran Khan to visit Saudi Arabia, which the latter also accepted, he added. The Custodian of the Two Holy Mosques, he said, expressed good wishes, saying Saudi Arabia respected the trust of Pakistani people which they had reposed in the PTI in the general election. The King stated that Saudi Arabia was aware of the issues being faced by Pakistan and would not leave it alone, he added.